Breakers 3, located at 103 45th Street in Holmes Beach. 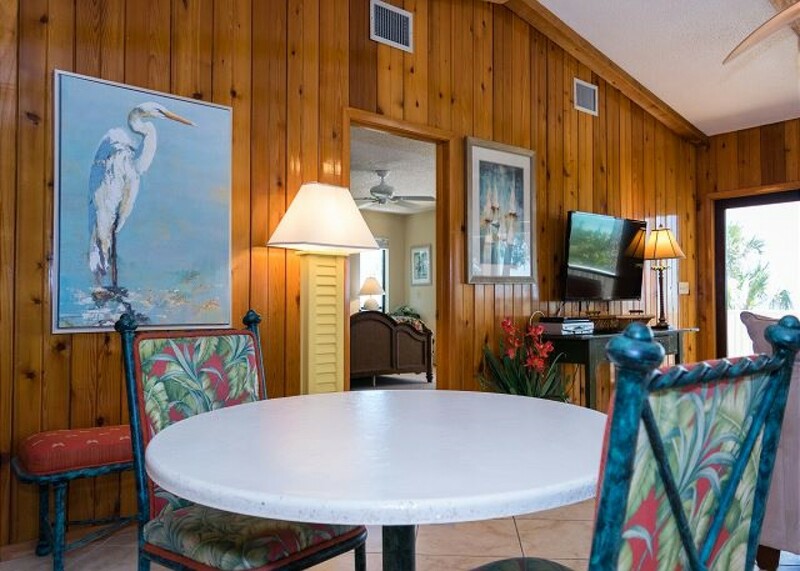 This luxury three-bedroom, two-bath Gulf-front beach home is located in a quiet, secluded area of Holmes Beach. RENTAL DOWN PAYMENT: Reservations of 28 days or more require a $1000.00 rental down payment. If you are renting multiple units within a complex or duplex a $1000.00 rental down payment is required. These rental down payments are required to confirm your reservation but are applied toward your final payment. All payments are non-refundable in the event of a cancellation. Each reservation requires a $75.00 non-refundable processing fee. Final payments are due 60 days prior to arrival. For your convenience we now accept E-checks which will incur a $1.00 processing fee. You can also send a personal check or pay by credit card which will incur a 3% convenience fee. The white sandy beach stretches for miles along the length of the island and spectacular Gulf vistas can be seen from the living room, dining room and master bedroom. Celebrate the day with the brilliant sunshine, glorious sunsets and star-studded skies. Spacious yet warm and cozy, this newly well-outfitted home is perfect for a romantic getaway or family vacation and offers every amenity to make your vacation enjoyable and comfortable including wireless high speed internet and free long-distance in the U.S. and Canada. The living room/dining room and kitchen feature an open plan with vaulted ceiling and warm wood paneling. Other amenities include new front-load washer and dryer, Weber grill and much more. The kitchen is a gourmet's delight with cookware, glassware and dishware, candle holders, linen placemats and napkins and other amenities for dining and entertaining to create an idyllic vacation experience. There is a 49" television in the living room as well as a 39" television in the master bedroom. Both guest bedrooms feature 32" televisions with built in DVD players. Spend lazy days enjoying the gentle Gulf breezes on the large deck sunbathing, reading, dining or watching the sailboats and beach strollers for the perfect beach vacation! This is a superlative beachfront home on one of the most beautiful beaches on Anna Maria Island and captures the essence of island living at its finest. Breakers 3 sleeps 8 with 2 king beds, two full beds, two rollaway beds and a queen size sofa bed. Parking is limited to three vehicles.